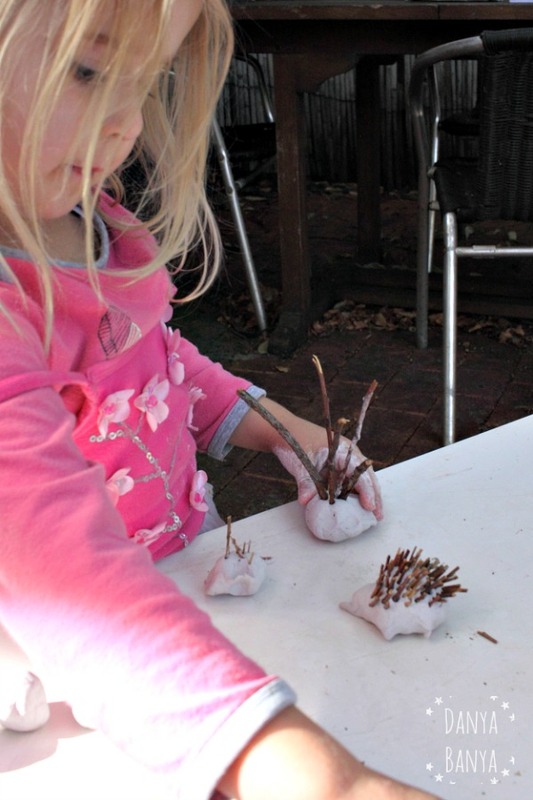 Cute Australian craft for kids, make an echidna with sticks and clay. 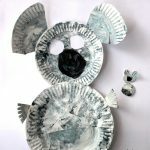 This craft is actually the by-product of my youngest daughter Bee (almost 4 years old) wanting to make a paper plate echidna and my eldest daughter JJ (6 years old) wanting to make something with clay. 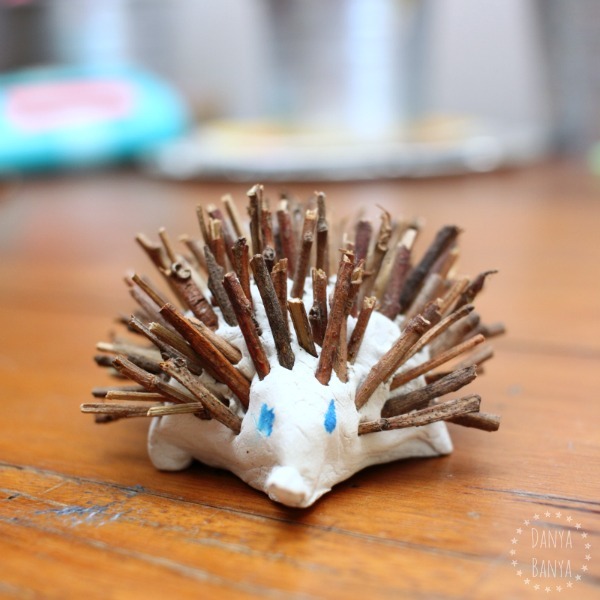 They decided that we could make clay echidnas instead! We love Australian animals and have been fascinated with short-beaked echidnas in particular for a while now. They are not that easy to find “in the wild” around Sydney, but there are some cool specimens in the Australian Museum that we’ve been studying recently, and we like to visit the echidna that lives in the nocturnal area of Taronga Zoo. We’ve also been googling random echidna facts. 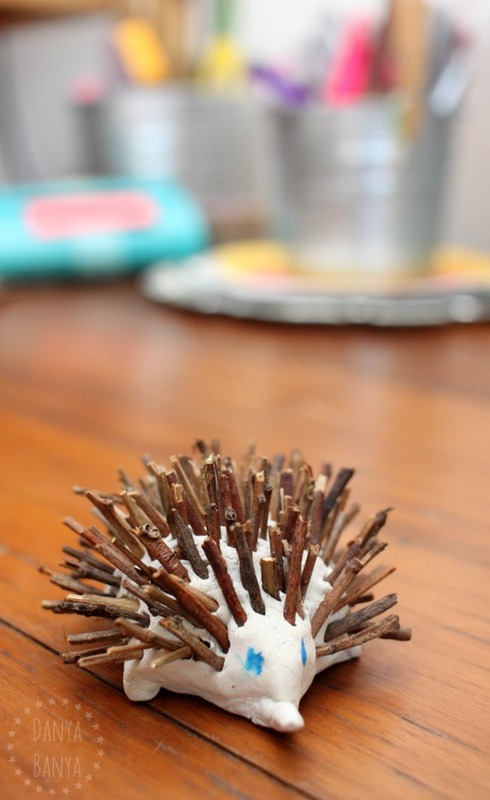 Echidnas (sometimes called spiny anteaters), are not closely related to hedgehogs or porcupines. 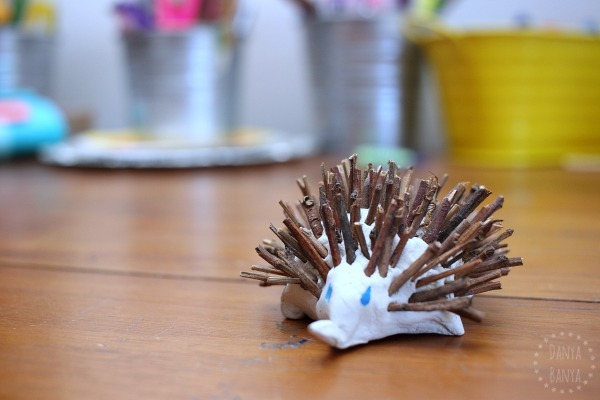 In fact, echidnas, hedgehogs and porcupines are three completely different animals that just happened to have, through convergent evolution, each developed spines as a method of defence. Echidna spines are actually modified hairs composed of keratin, the same material that makes up our fingernails. Echidnas and platypuses (another Australian animal), are the world’s only living monotremes, or egg-laying mammals. Female echidnas lay a single, soft-shelled egg into a pouch. Ten days later, a baby echidna (called a puggle and smaller than a jelly bean) hatches and feeds on milk from inside the pouch, where it will stay for the next 8-12 weeks, until it develops spines. The puggle will then exit the pouch and live in a burrow, for the next 6 months. Platypuses, echidnas and dolphins are the only mammals to have a sense of electroreception. (Awesome!) Echidnas eat ants, termites, grubs, larvae, and worms. 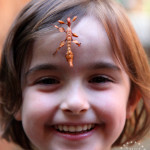 They have pointy snouts that can sense electrical signals from insects. 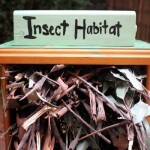 Once insects are detected, they’re dug up and licked up with a long sticky tongue. JJ was initially talking about making some sort of gigantic prehistoric echidna (for which she wanted to hog all the clay), but when I explained she could use about a third of our supply, her project changed direction and she made a coil bowl (which broke apart because she was too impatient to wait the full 24 hours for it to dry – but she’s kept the pieces to use in a future project). Bee started trying to make an echidna, choosing larger more dramatic sticks. 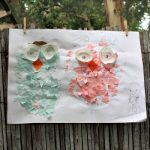 Part way through she remembered seeing something on Playschool (or was it Mister Maker?) 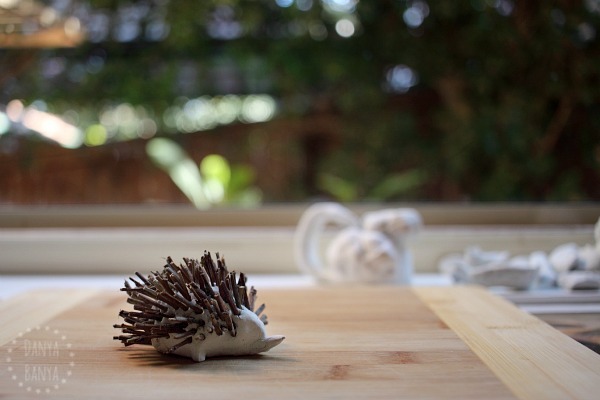 and canned the echidna idea, to make a pinch teapot with a handle and lid instead. Which, you know, is all part of the creative process! 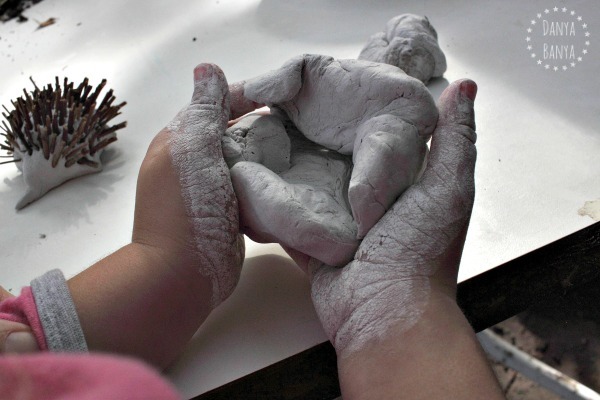 You can see her masterpiece in the photo below – it’s in the background, drying on the kitchen windowsill. 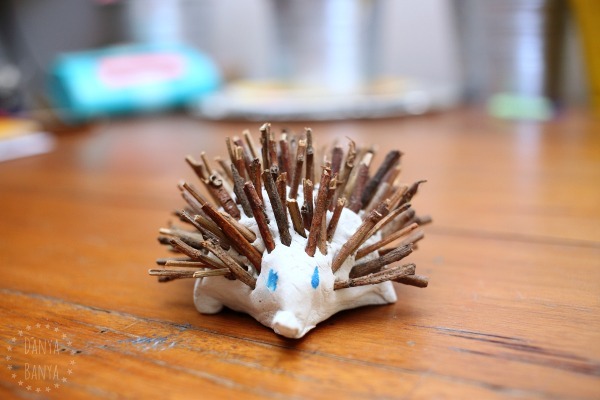 And so, in the end, I was the only one that made a clay echidna. 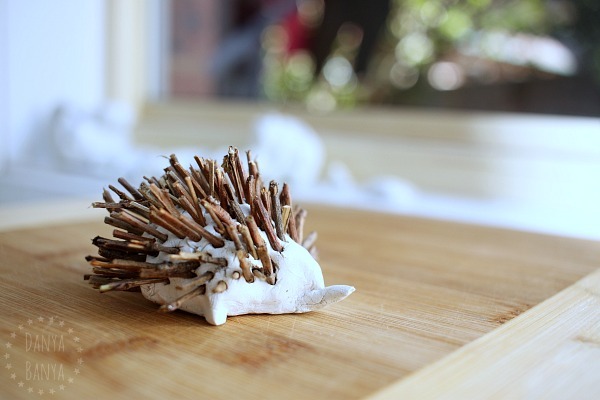 I moulded the basic shape from clay, collected the tiniest twigs I could find, and then snapped them into even smaller pieces, before sticking them into the echidna’s back, trying to make sure they all faced the same rough direction. Bee helped a little bit, collecting and sticking in a couple of the twigs. Once it was dry, JJ drew on eyes using a marker. 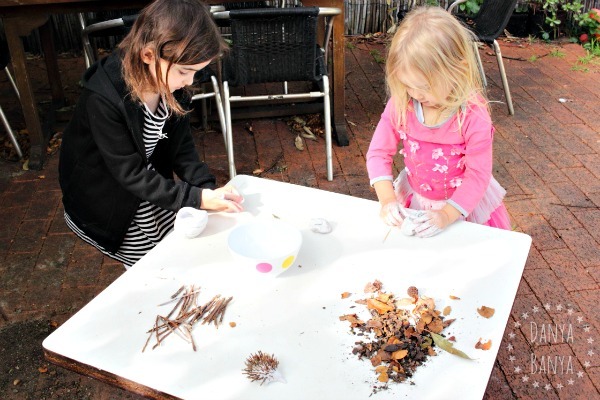 We also have Australia for Kids and Nature Arts, Crafts and Play pinterest boards. * This post contains affiliate link(s). An affiliate link means I may earn advertising / referral fees if you make a purchase through my link, without any extra cost to you. It helps to keep this little blog afloat. Thanks for your support. * This post was originally published 5th September 2016, and has been since updated with a few new action images. 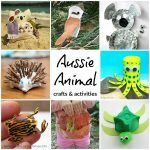 oh how super cute is this Aussie craft. I love that they compromised and came up with something they both could do together. adorable. It’s fascinating watching them negotiate their way through sisterhood. The compromises (and collaborations!) are becoming much more complex now. Love it! Looks perfect for the upcoming school holidays! I know! The best laid plans….